If customer service isn’t your top priority, you’re losing customers. And if you don’t address customers as a top priority ASAP, your customers will find someone who treats them as a VIP. The purpose of this excerpt (and the soon-to-be-published book from which it is taken) is to help you fully realize that customers are the reason you have a business. Without them, no matter what you do, there isn’t any business. Approach customer service the same way you approach a date. Nurture it with good habits and relentless care. Each date builds on the previous one. Each sale does the same in building customer retention. Remember the customer is always right–sometimes confused, misinformed, rude, stubborn, and changeable but never wrong. Ever date anyone like that? So here are the simple suggestions that will help you to enhance your relationships. 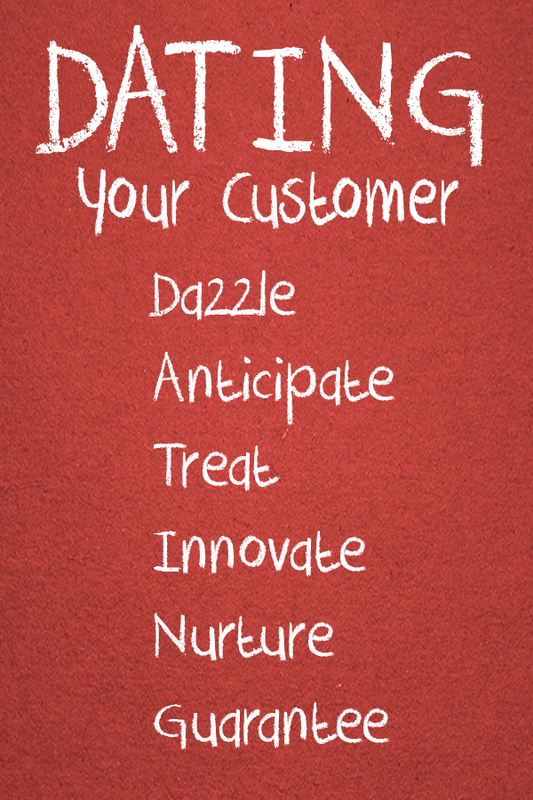 Dazzle customers with your service. The key to good customer service is to treat all your customers well, but not necessarily the same. Respond to their needs as individuals. While one customer might need a ton of help and attention, another might prefer an opportunity to browse with privacy. Learn to understand body language and to read between the lines. It’s up to you to perceive the customers’ service preferences and give them what they want. Anticipate the needs of your customers by emphasizing service over sales. Good service sells. But pushy service people who are always trying to sell more can be a major turn-off to all customers. Treat your customers well by being a problem solver. If you can’t help the customer, help them find someone who can. Customers appreciate your help — even when you aren’t directly profiting from a sale. Just consider it an investment. They’ll appreciate the advice and remember you the next time they need your goods or services. Innovate by understanding that most rules should be flexible. Make sure that you don’t ever say “No, that’s against the rules” to a customer who’s making a reasonable request. Your main rule — one that should never be compromised — is to keep your customers happy and satisfied. Nurture your employees by giving them the care and respect that you want them to give your customers. If you treat them well, your employees will be great ambassadors of service. Treat them poorly and they’ll treat your customers badly in turn. Guarantee you stay in business by making sure you have a great customer service plan or suppliers, employees and your customers, then ensure that your employees understand it and follow it. Try writing it out and posting it in a central location for all to see and see again. Once employees understand the importance of great customer service you will have great customers returning over and over. Personalize your service. Make it your policy to know your repeat customers’ names and preferences. Nothing impresses customers more than this kind of genuine, individualized attention.